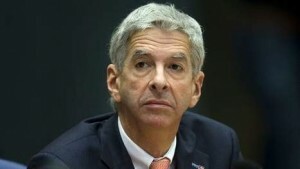 THE HAGUE, WILLEMSTAD - Minister Ronald Plasterk of the Interior and Kingdom Relations (BZK), has sent a letter to the Dutch Parliament. In this letter he gives an account of the Kingdom Conference, which took place on April 2 in Aruba. Netherlands and Curaçao have put Economic Cooperation and rights of the child on the agenda. Also cohesion in the kingdom, challenges of small countries, cooperation in the kingdom and practical problems when working together, transportation of people and goods and the weak financial position of Aruba were discussed. Plasterk represented the Netherlands and the BES islands. All countries in the Kingdom were present. on how to work on this agenda point in the foreseeable future. The first draft must be presented no later than November 20 of this year. The Countries in the Kingdom can all benefit as a potential hub. This was indicated by all participants. Knowledge of foreign trade, taxation, competition, aviation and maritime affairs should therefore be exchanged as well as possible. Under the chairmanship of Curacao, a working group will be set up to establish a free trade area between the countries of the former Netherlands Antilles. The working group will report within six months.